Milan, April 13th, 2017. 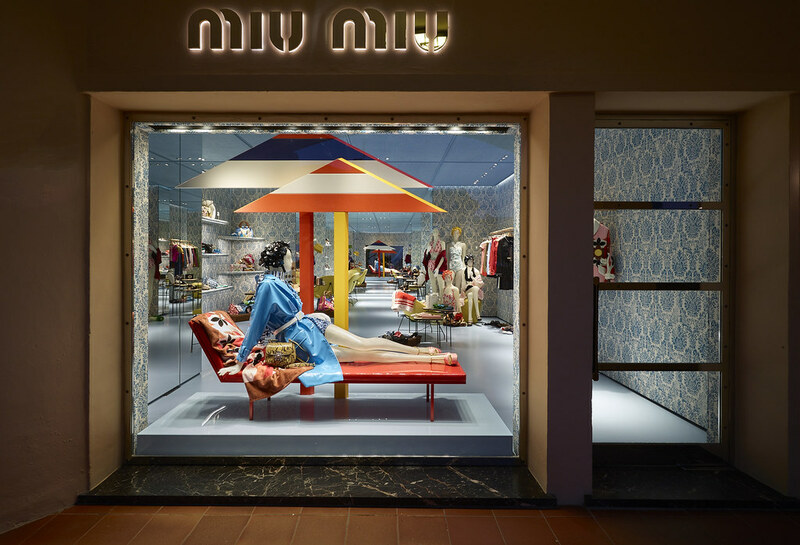 Miu Miu re-opens its store in Porto Cervo, in the prestigious shopping destination, La Passeggiata, at the heart of this luxury seaside resort in northern Sardinia. 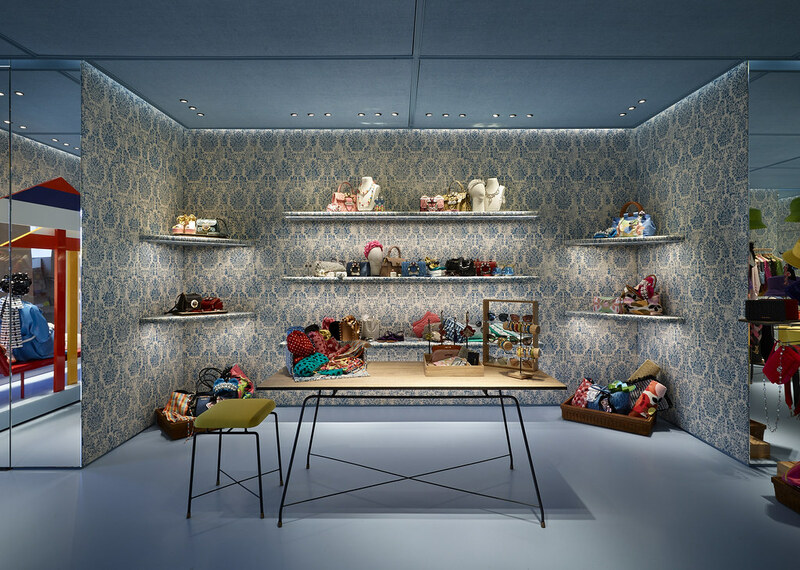 Extending over a surface area of around 90 square metres, the space is home to Miu Miu ready-to-wear, shoes and accessory collections. 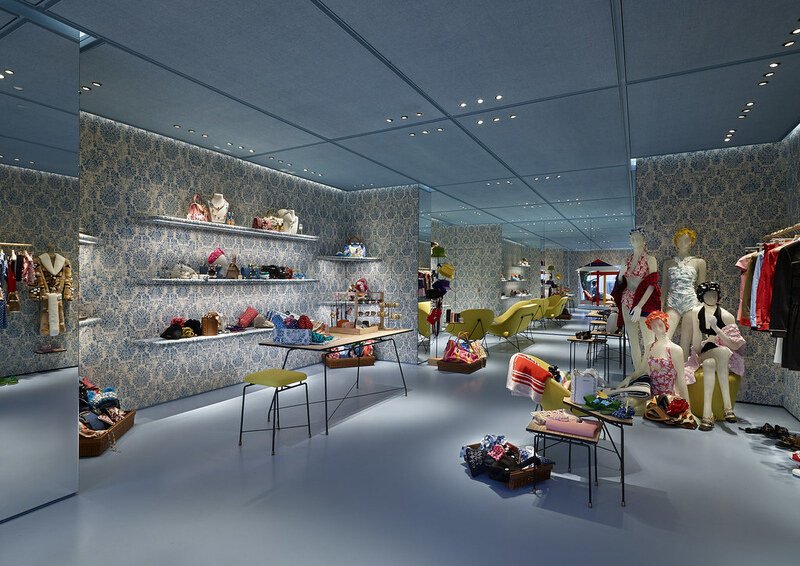 In this historic location, Miu Miu presents an innovative new design focused on a summary spirit to ensure a unique and contemporary shopping experience. With this in mind, walls are covered in artisanal batik fabric and signature pale-blue damask. The coffered ceiling is clad in jute and the floor with cement in that same hue. The effect is harmonious and elegant, fresh and uplifting. To complete the interior, tables and display counters in natural olive wood and black iron and sunshine yellow armchairs are centrally placed ensuring a youthful and quintessentially feminine atmosphere throughout.